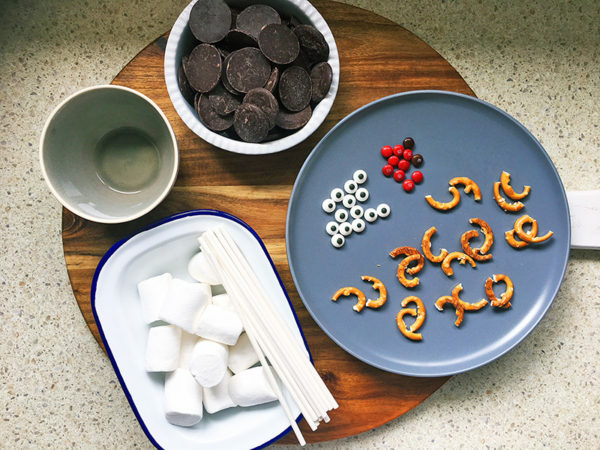 You’re going to want to have everything at the ready for this one folks – those pretzels painstakingly cut in half, your mini M&Ms sorted and your eyes paired. Ready, set, go. 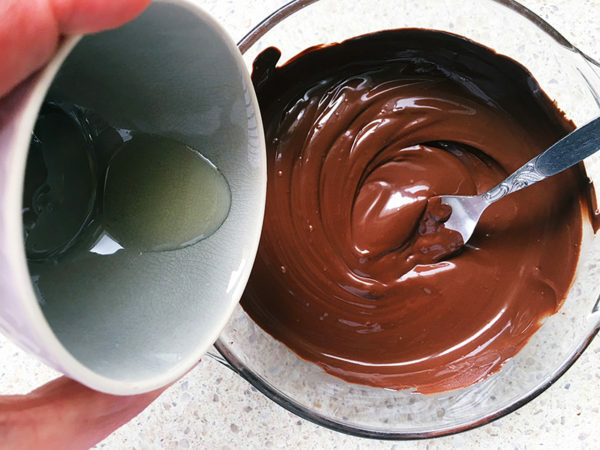 In 20 second bursts, melt the chocolate in a glass bowl in the microwave, stirring between each burst. 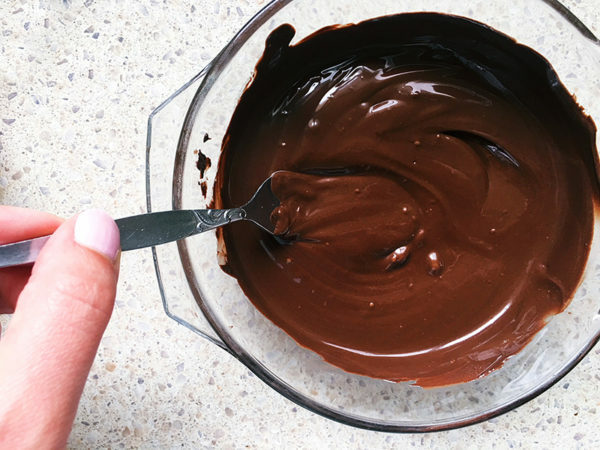 Once melted and silky smooth, add the oil, half a tablespoon at a time, mixing until a thin coating consistency is achieved. 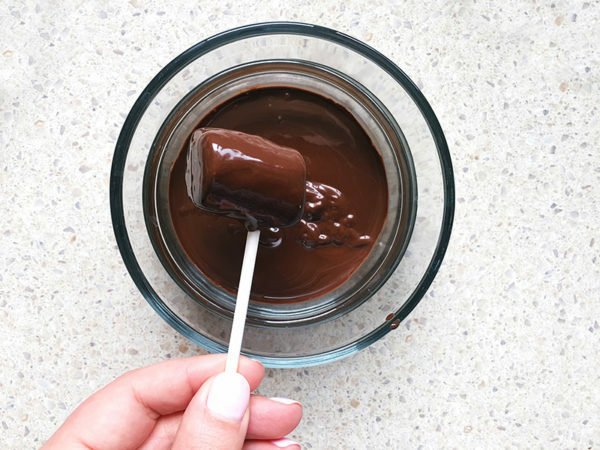 Dip the end of your lollipop stick in the chocolate, then push it into the marshmallow. Set aside to set while you repeat for all the others. 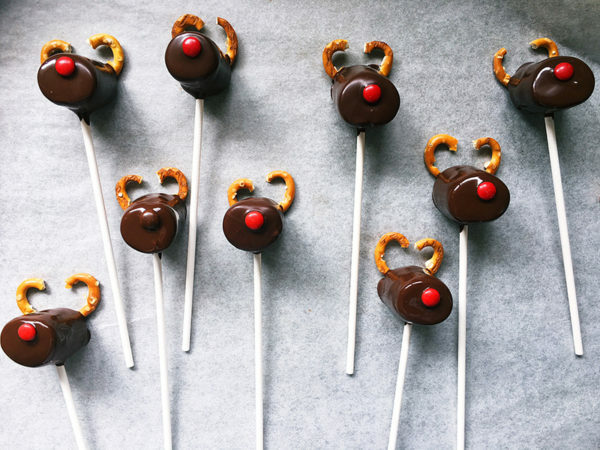 Arrange the pairs of antlers on a baking paper lined tray. 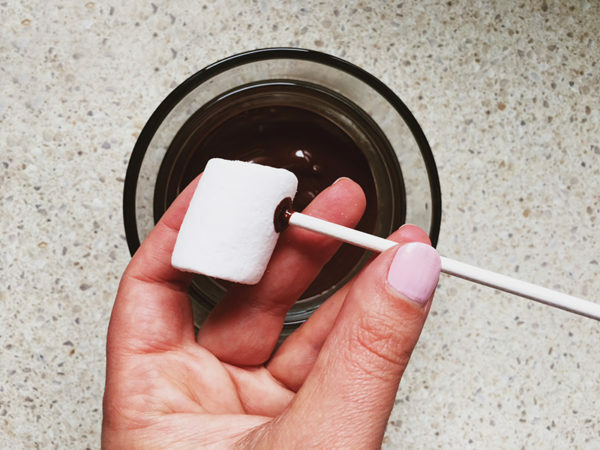 Dip each marshmallow into the chocolate to cover completely and allow excess chocolate to drip off. 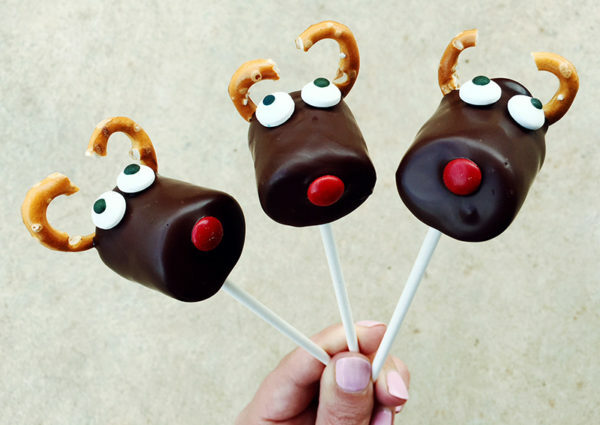 Quickly place it on top of a pair of pretzel antlers so they stick together when set. Add a mini M&M nose to each marshmallow before the chocolate sets. 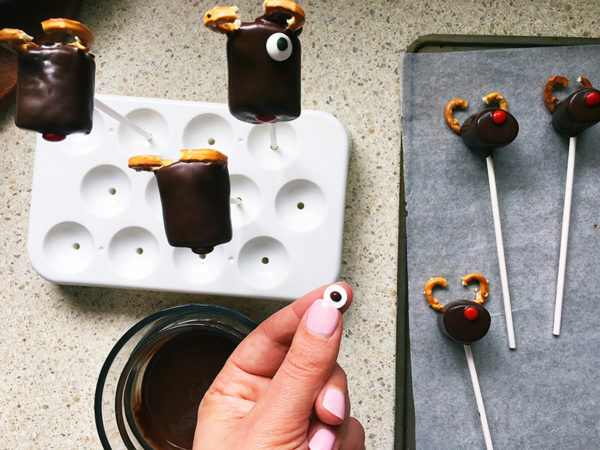 Once the chocolate is set, use a toothpick and the melted chocolate to glue the eyes to the top of each head. Let set completely before eating. Yum!